dropbox | Tech and me. A blog about me and my world. 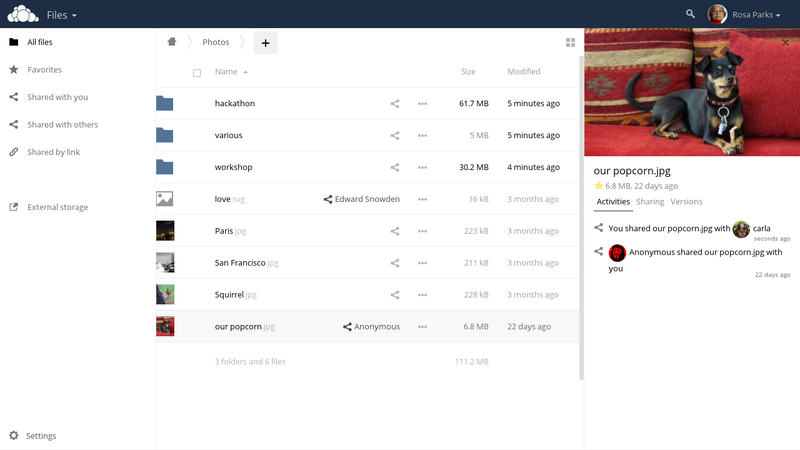 ownCloud : Your self hosted dropbox. In simple words, it’s a Dropbox which is setup and managed by you. This entry was posted in Programming and tagged cloud, dropbox, installation, owncloud, raspberry pi, storage, tutorial on September 16, 2016 by vik-y. Subscribe to get my latest posts in your inbox. Bashhub will change your life!